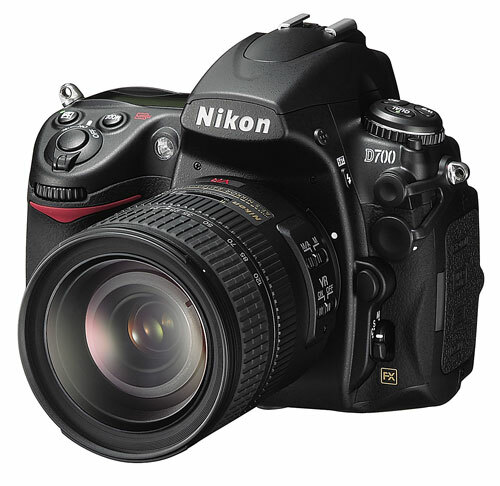 The Nikon D300 is currently the darling of the DSLR market. Nikon has built the D300 on a Magnesium frame with weather sealing that makes it the top crop-sensor model, or DX format in Nikon lingo, in their current lineup. It is really a Pro model, but with pricing at the upper end of the prosumer market. This formula has worked well for Nikon. The D300 is selling very, very well. 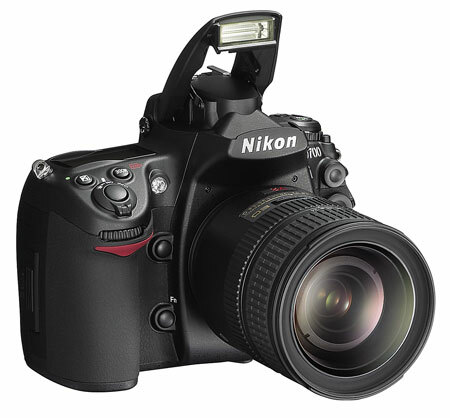 We were not immune to the charms of the D300 as you saw in our blog Singing the Praises of the Nikon D300. The Nikon D3 has similarly created huge excitement in the full-frame DSLR market, which Nikon calls FX format. It is hard not to notice its stand-out high speed performance - with its normal ISO range to 6400 and expansion to an amazing and usable ISO 25600. There is also the raw speed in image capture to make the most of this amazing sensitivity. The D3 can fire at a blistering 9 fps in full-frame, or up to 11 fps in DX (APS-C) mode. At $5000 the D3 is something of a value compared to the $8000 Canon 1Ds Mark III, but it really couldn’t compete in value with Canon’s aging full-frame 5D, which is now selling for around $2000, down substantially from the price of $3500 when it was first introduced. Photo Enthusiasts have been clamoring for another Nikon full-frame to fill that void – a full-frame to fit the space between the $5000 D3 and the $1800 APS-C D300. Clearly Nikon was listening intently to those wishes. Today they announced a new full-frame Nikon D700 that will be available in the market beginning the end of this month. No one was really surprised that Nikon introduced another FX DSLR as it was widely expected that Nikon would not sit back as Canon introduced the successor to the 5D, likely the 5D Mark II. That introduction is widely expected at Photokina in Germany in late September, but there have been many other expected dates for the 5D successor that have come and gone. The Nikon surprise was the introduction of the D700 NOW, some 3 to 4 months before Photokina. Most expected the cheaper full-frame to be perhaps announced at Photokina, or maybe even later to put some distance between the D3 and D300 introductions late last year. So what is the D700? In simplest terms take the full-frame FX sensor and electronics from the D3. Put them in the smaller but rugged body of the D300, and add unique 3-phase self-cleaning to the sensor. The result is basically the D700. This makes the D700 the first full-frame DSLR with a built-in pop-up flash, which will likely be trashed by traditionalists. However, given Nikon’s superb wireless flash system many will welcome the ability to control exterior flashes with the built-in flash, as can be done on the D300. The D700 also uses the same MB-D10 Battery Grip used by the current D300, and it manages 8 fps full-frame compared to the 9 fps of the D3. There is no DX speed-up, however, and 8 fps is the top speed. Put this in perspective by comparing it to the Canon 5D at 3 fps. •SB-900 Speedlight – With an unmatched zoom range of 17-200 feet, and Nikon’s popular wireless capabilities, the intelligent and versatile SB-900 Speedlight takes its place as the new Speedlight flagship. Available in August for an estimated selling price of $499.95. He sums up what I first thought when I read about the 700. Either get the DX D300 and a decent lens. Or get the FX D3. I love my 300, and the only upgrade that would make any sense would be the D3. I know the 700 has a few different features compared to the D300, other than just the FX sensor. But it's still a fairly lateral move. After reading Ken's preview, not sure I entirely agree with him... and he usually is dead on. Let's see what the consensus says when they start shipping. Ken did make a good point about the apparent lack of CF card lock on the D700 due to the info button now being there. Having dropped my D300 from the top of a baby stroller without any damage, the integrity of a "sealed" design works well. With the body at 3k and a piece of glass that you will buy anyway for a D3, you will still wind up spending less money than buying a D3 body by itself. Granted, you will not get the dual memory card slots, faster fps, or 100% FoV, but the smaller form factor is the perfect size. It all comes down to what the intention of the camera is for. As I put in my DT post, the D700 would have been greatly appreciated on my recent family trip to Disney due to the native 6400 iso and (assumed) much faster AF than D300. After vacation, the FX sensor would be at home for the indoor/outdoor architectural side work I do, but still be manageable in size for my wife to feel comfortable using it for family shots as well. I can see your point. I think I would need to try this body out for a couple of months and see how it does. Without having the opportunity to do that (my wife would kill me if I bought a D700, as I bought the 300 right after getting the 200), I'd still lean towards the D3 instead. But that's more of a preference in this case I think. It's true, for the price of the D3 you can get the D700 and a decent lens. I keep forgetting to look, what do you get MP wise, when you put a DX lens on the 700? The only time I've had err come up is if I adjust the f stop on one of my old manual lenses. I haven't seen it any other time. I think I'd be a little worried if I did see that come up for no apparent reason. Now this one is very surprising. I was expecting a middle-tier FX camera but not that soon. Now I have a dilema to stay with slides and my wonderfull F100 or save some money for the D700. "A large pixel size of 8.45 µm allows for an extremely low signal-to-noise ratio"